As you can see here, being a dapper dude doesn't require that much effort. 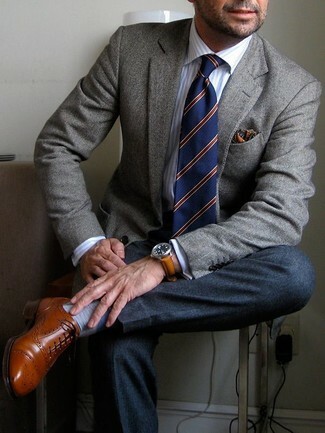 Just make a JB Britches Classic Fit Herringbone Wool Sport Coat and beige chinos your outfit choice and you'll look smart. 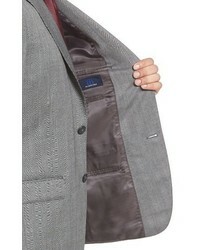 If you're hunting for a casual yet on-trend ensemble, rock a JB Britches grey herringbone wool blazer with grey jeans. Both of these items are totally comfy and they also look stunning together. 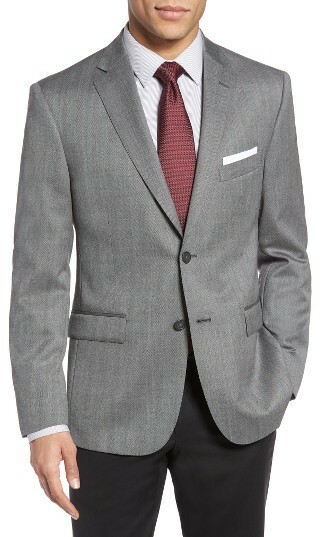 Dress in a JB Britches grey herringbone wool blazer and charcoal wool dress pants for a classic and refined silhouette. 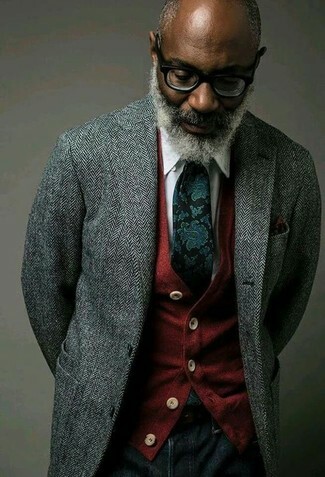 For something more on the daring side to complete this look, go for a pair of tobacco leather brogues. 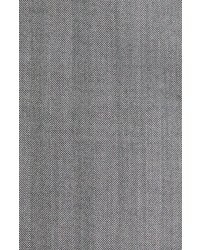 If you're after a casual yet dapper ensemble, wear a JB Britches Classic Fit Herringbone Wool Sport Coat from Nordstrom with charcoal cargo pants. These items are very comfy and they will also look great when worn together. 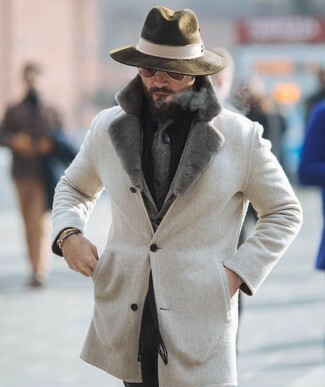 You could perhaps get a little creative in the shoe department and dress up your getup with tobacco leather brogue boots. If you're hunting for a casual yet dapper look, choose a JB Britches Classic Fit Herringbone Wool Sport Coat from Nordstrom and navy jeans. 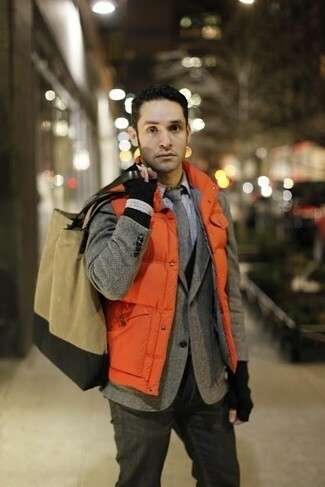 As well as super comfortable, these garments look great paired together. Bump up the cool of your getup by wearing navy and green plaid suede loafers. If you're hunting for a casual yet stylish look, dress in a JB Britches Classic Fit Herringbone Wool Sport Coat and navy jeans. As well as super comfy, these items look incredible when paired together. Go for a JB Britches Classic Fit Herringbone Wool Sport Coat and black dress pants for a classic and refined silhouette. 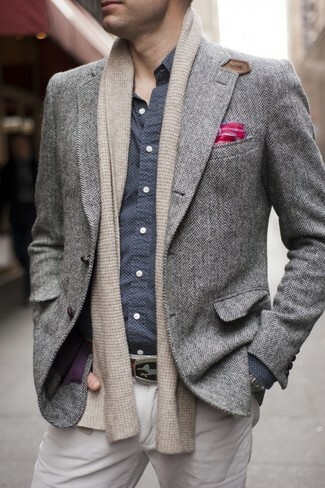 If you're looking for a casual yet seriously stylish ensemble, consider teaming a grey herringbone wool blazer with charcoal jeans. These items are very comfy and look stunning paired together. 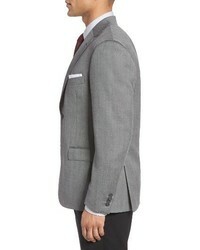 Reach for a JB Britches grey herringbone wool blazer and black dress pants for incredibly stylish attire. 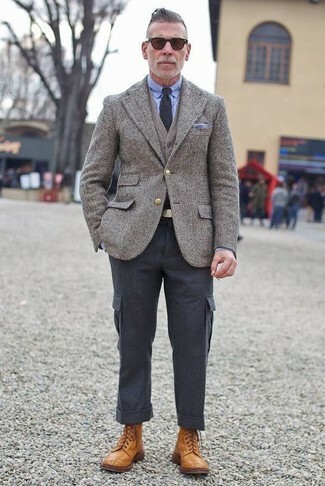 For something more on the daring side to finish off this look, opt for a pair of grey canvas tassel loafers.